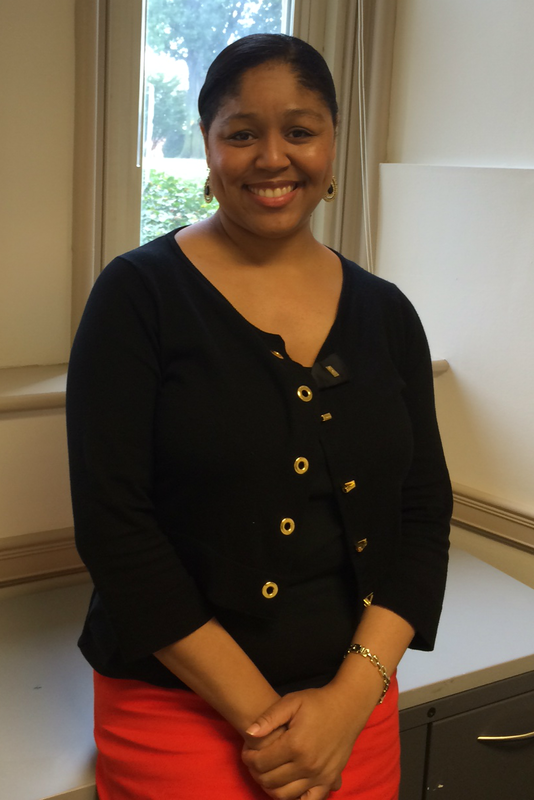 Meet Nichelle Mason, Assistant Director of the Real Estate Finance Initiative in the McDonough School of Business. We caught up with Nichelle at a recent Creative Spark workshop. Originally from Louisiana, she relocated to DC just over a year ago. More time in traffic means less time doing those things she enjoys and, unfortunately, more stress. Sound familiar? So how does Nichelle make wellness a priority? GUWellness: First, let me start by asking how do you define wellness? Nichelle Mason: Wellness, to me, means living in balance and continuously pursuing a healthy lifestyle mentally, spiritually and physically. When we live a life of balance these three areas of well-being work together homogenously to our enjoyment, peace and sanity. GU: Ideally, how do you maintain that balance? NM: I have found throughout the years that maintenance is a constant choice and whatever you seek to maintain must be guarded. I plan out time for myself and guard it because my life (wellness) depends upon it. I am only as valuable as my ability to guard and protect me. Family, work and play are all important in my quest for ‘balance in motion’ as I fulfill my purpose in life. With this said, I have found myself struggling to find balance in a lifestyle that requires so much time commuting or traveling from one destination to another rather than taking nice 6 pm strolls to the grocery store with my mom and then sitting in front of the TV watching a weekly series with my sister, or even renting movies and having friends over on the weekends for an outdoor bar-b-que and “movie night”. I have been choosing rest over doing what makes me happy because there isn’t enough time to rest, do what’s necessary and do fun things anymore. Nevertheless, I have decided to put my foot down and say “enough is enough” I must find a way to incorporate what I enjoy back into my life. GUWellness offers me the convenience and opportunity to re-connect and re-discover myself such that I pause and do what’s necessary for me to remain “me”. Instead of looking at wellness and personal time as an option, it is now a “must”. GU: Thank you for the segue! So, how do you cultivate well-being at work? NM: Georgetown makes it much easier than it has been at my previous places of employment. While my previous employment opportunities have been positive experiences for me in terms of helping me achieve my professional goals, Georgetown University (GU) also helps me achieve professional goals in an environment that caters to me as a whole person. GUWellness caters to the mind, body and spirit with workshops, fitness options, and spiritual mindfulness opportunities that cater to any personal worldview or spiritual/religious background. With these wonderful opportunities just footsteps away from my office, I spend my lunch time taking advantage of these opportunities. I also share my experiences with others around me so hopefully, they can benefit from these opportunities as well. GU: What (or who) inspired you to check out GUWellness programs? NM: Within the first week of arriving at Georgetown’s School of Business, Professor Matthew Cypher mentioned his passion for fitness and running and his fondness of the convenience and programs offered at GU to promote physical health and wellbeing. This conversation was prompted by me inquiring about ways to enhance my own physical fitness here at GU. He encouraged me to check out the GUWellness website and see if there was something of interest that I could fit in my day to meet my need. I’ve done just that and, not only have I discovered many physical fitness options, I’ve also discovered other wellness options that include workshops and tips for increased joy, health and well-being in every area of life. I’m ecstatically grateful for GUWellness!!! This Fall, GUWellness is interviewing employees about the ways they integrate well-being into their daily lives in our Wellness @ Work series. Want to talk about what wellness means to you? Drop us a line or leve a note in the comments.